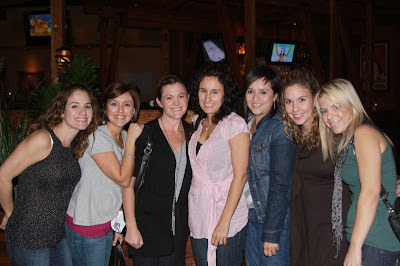 monday night i went out with the bible study girls for dinner and a movie. we went to lazy dog cafe for dinner and then saw the movie bride wars. in case you are wondering that movie is so good! i loved it :) such a great girly fun movie. seth hates those movies so it was fun to see it with my girls.